I don’t know who this quote is from, but I did hear it often while growing up, and I do find myself saying it to my daughter. 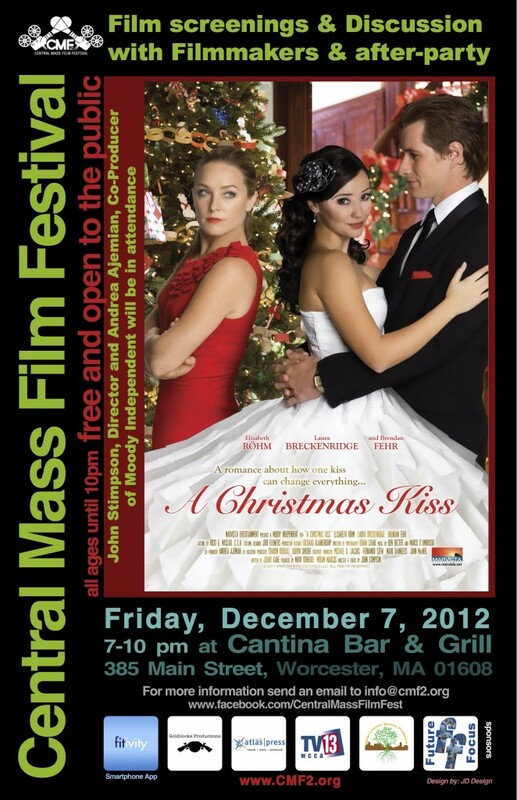 CMF2′s 3rd event will be a screening of “A Christmas Kiss”, and discussion with the John Stimpson, Director and Andrea Ajemian, Co-Producer of Moody Independent Friday, December 7th at the Cantina Bar & Grill (385 Main St. in Worcester) 7 – 10 p.m. Free and open to the public. All ages.